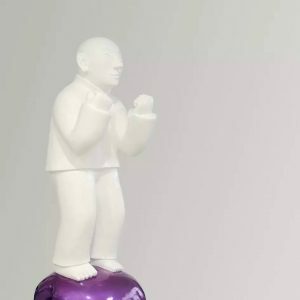 Born in 1977 in Hunan Province, China, Xie Aige (谢艾格) is a sculptor whose works in bronze display a sense of sincerity, clarity, and hope. 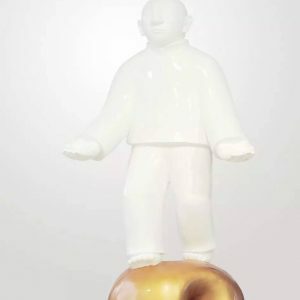 She graduated from Shanghai Fine Arts College in Shanghai, and taught in the Cultural and Art Design Department of Shanghai’s Tongji University. Currently living and working in Shanghai, she responds to the craziness of her adopted city through works of figurative peace. 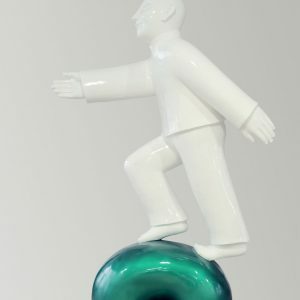 In today’s world of rapid changes and hectic lives, Xie Aige’s sculptures are a breath of fresh air, uncorrupted and serene. 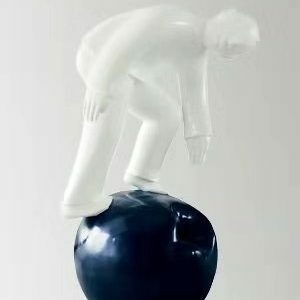 Striking a balance between the ideal and reality, she sculpts figures that are poised, whimsical, reflective, and charming. Poetically conceptual at heart, Xie Aige is inspired by Buddhist thought and the human spirit. 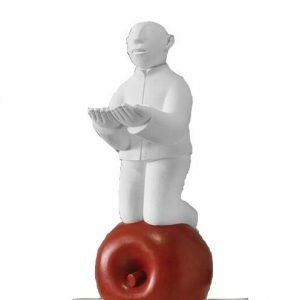 With many of her works depicting men in nature, at peace or play, she draws on childhood memories of rural China and prominently features symbolic elements (such as birds for freedom and apples for desire) in her sculpted world. 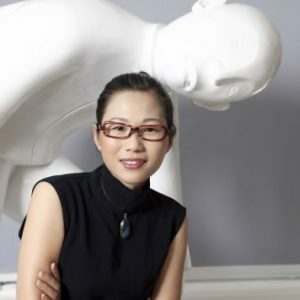 Her works have been exhibited throughout China, as well as in the United States, United Kingdom, and Germany, and have been collected by a range of private, institutional, and corporate collectors, including the Beijing Capital Airport, People’s Bank of Italy, and Shanghai Park Hyatt Hotel.